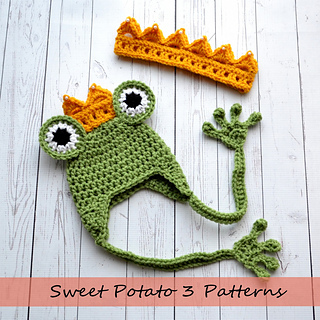 This crochet pattern comes with complete instructions for this adorable Princess and Frog Hat and Crown set. 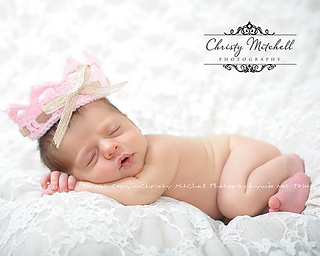 The hat is a sweet little frog hat with earflaps and the ties feature little frog feet at the end of the ties. The crown is a simple design that you can add pearls and/or ribbon to it. 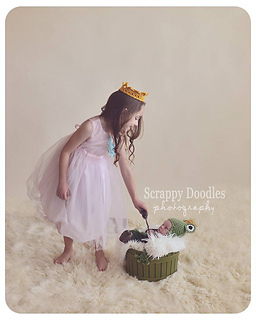 Both the crown on the frog hat and on the princess are matching. 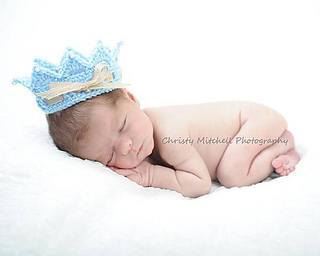 Both the hat and the crown come in sizes for newborn up to child size. This pattern may not be redistributed in any way. Finished items may be sold, but please refer back to me as the patterns author and include a link to my shop in your listing-thank you. The all to precious images are courtesy of Scrappy Doodles Photography and Christy Mitchell Photography. These images may not be used in any way.